Mongolian gold export is forecast to reach 15.8-40.0 tons in the next decade and gold revenue to $1.178 billion by 2020. Latest news in the metals sector: Mongolia will increase gold export with the plan to export 16 – 40 tons of gold by 2020, while Indian gold imports tripled last month. Dallas-based NTR Metals wasn’t charged and prosecutors have declined to say whether the company is under investigation. The company, also known as Elemetal Direct, is one of eight divisions of Dallas-based Elemetal LLC. Trey Gum, general counsel for Elemetal, declined to comment. The operations manager at a metals refining company was charged with helping run a gold smuggling network that reaped billions of dollars for illegal mines controlled by drug dealers and other criminals in South America. A criminal complaint against Juan Pablo Granda, 35, outlines a vast conspiracy involving employees at NTR Metals to buy huge amounts of gold from illegal mines in Peru that support human trafficking, forced labor, and environmental devastation. The scheme allowed the NTR Metals office in Miami to launder billions of dollars for criminal organizations — including Peruvian narco-terrorists — by buying gold from mines they control, according to the U.S. complaint filed in Miami. What percentage of copper does the U.S. import? “Gold-2” was approved by the Mongolian Cabinet as a key part of the raft of measures to revive the economy; it aims at increasing gold production by two to three tons annually, leading to an annual production target of 25 tons by 2020. Mongolian gold export is forecast to reach 15.8-40.0 tons in the next decade and gold revenue to $1.178 billion by 2020. I feel that there is no way that they will come close to the top number in a few years, but it looks good on paper! Mehul Choksi, chairman of jewelry store chain Gitanjali Gems Ltd., is quoted as saying: “We expect some heavy buying in April as a large number of weddings are expected to take place. Legal Indian gold imports jumped up to 96.4 tons in February vs. February 2016. These numbers come from the finance ministry and not the World Gold Council or bullion banks. This reinforces the observations by many that the BIS-directed attempt to curtail Indian gold demand by removing cash from the financial system has failed. The talk about Central Banks slowing down on their purchases of Precious Metals seems to incorrect! Janet Yellen’s soothing words on the pace of U.S. interest rate hikes were a day late for hedge funds losing faith in the metal. Money managers cut their bullish bets on bullion by the most since 2015 in the week ended March 14. The next day, Federal Reserve Chair Yellen reiterated that monetary policy will remain accommodative for “some time,” easing market fears that there might be more than three rate hikes this year. Her words sparked the biggest gold rally since November. The funds reduced their gold net-long position, or the difference between bets on a price increase and wagers on a decline, by 47 percent to 49,835 futures and options contracts in the week ended March 14, according to U.S. Commodity Futures Trading Commission data released three days later. That was the biggest decline since December 2015. U.S. silver imports of 473 Moz in 1935, were more than double the global mine supply of 221 Moz. Which means, the U.S. Treasury realized it would take a great deal of time to purchase the 1.24 billion oz. of silver unless it motivated the rest of the world to let go of some of their silver. By pushing the price of silver from $0.44 in 1934 to $0.77 in 1935, the U.S. was able to import nearly 40% of their 1.24 billion oz. target in just one year. While the U.S. Silver Purchase Act of 1934 nationalized silver, the U.S. Treasury only purchased 109 Moz from American citizens during the 90-day time limit (source: 1939 Silver Money book). Which means, the majority of silver the U.S. Treasury needed came from foreign countries like China and India. The advent of modern technology also forced the United States to remove silver from its coinage in 1965. However, times are rapidly a-changing. In the future, the value of silver will not be based on how much is consumed by industry, jewelry or investment demand, but rather how it functions as a HIGH-QUALITY STORE of VALUE compared to most other assets that will be disintegrating as the massive amount of debt and derivatives implodes. Robust demand for the very popular silver bullion coin this week. The U.S. Mint sold 715,000 of Silver Eagles (1 oz.) this week, to bring the year to date sales totals for 2017 to a robust – 7,557,500 Silver Eagle coins. Clients in the UK and Ireland buying silver bullion coins (now VAT free) such as Silver Eagles. We are seeing even greater demand for Silver Maples and Silver Philharmonics. The increasingly favorable supply and demand fundamentals of the silver market were reported on by Bloomberg in an article entitled ‘Silver Seen Climbing Faster Than Gold as Yellen Wakens Bulls’. Yes, it has been saved from the smelting oven to answer your many questions. We are all pleased to share with you that the soon to be opened Rothschild Museum will have a special display for the last know silver bar for everyone’s viewing of this ultra-rare silver bullion ingot. To preserve historical items whenever possible is always one of our goals. Consumption will outpace supply by 120,000 ounces this year, the fifth straight year of deficit, according to a March 9 forecast by the World Platinum Investment Council, created by the six leading producers of the metal to stimulate investor demand. While New York-based CPM Group expects the metal to be in surplus the next few years, most of the inventories at the end of 2016 were held by investors, and they’ re expected to continue absorbing that excess production, the New York-based forecaster said in a January report. Copper Could be Over-Reaching its Grasp/Copper Development Association: During a rather informative meeting with the Bloomberg Metals Team in New York last week and some information I have gleaned from a recent interview with the Mining Minister of Chile I would like to share with you my current viewpoint on Copper. I have traded Copper at a $1.00 and all the way up to $4.00 during my trading career. As I look at the current level of $2.65-70 from the CME Groups current quote board I realize that I must look much further into the market other than the tick by tick world of speculators. My concern right now is the production of copper ore and when the current strike at Escondida copper mine ends and the Chilean Miners say it is time to restart operations. Escondida, the World’s Largest Open-Pit Copper Mine told management that the new offer today would not even come under consideration. What that means is copper will hold these levels for a little while and let’s couple that to the Trump infrastructure proposal and that’s why were so strong at these levels. With these two strong factors, already in the market I’m really starting to look hard at the copper market, in general. I’m starting to think that it will be advantageous in the near team to look for some areas to sell the market against my recyclers and refiners production just off of the mining output. Right now, we have doubled the copper ore output from 2001 -2011. When you consider that the breakeven point on copper ore is an average $2.10 and what that means is that no matter where you sell your finished product your money ahead. I believe that the larger recapture numbers in recycling; *each year in the U.S.A…, nearly as much copper is recovered from recycled material as is derived from newly mined ore… and when you exclude wire production, most of which uses newly refined copper, the amount of copper used by copper and brass mills, ingot makers, foundries, powder plants and other industries shows that nearly three-fourths (72%) comes from recycled copper scrap. Known worldwide copper resources are estimated at nearly 5.8 trillion pounds of which only about 0.7 trillion pounds (12%) have been mined throughout history… and nearly all of that is still in circulation because copper’s recycling rate is higher than that of any other engineering metal. SEE ALSO Will Mexico blow US corn market and why? I think you can know see why I’m looking for an entry point to hedge my people against the coming tide. I know many of you wondered why I pushed so hard to get Mr. Giancarlo into the Chairman’s seat at the CFTC but take a look at the fresh breeze that just stepped into the Financial Market and you’ll understand why I had to push. As the Federal Reserve considers raising interest rates for the first time in several years, many investors believe that higher and rising interest rates will pressure gold prices downward. Many investors and market analysts believe that, as rising interest rates make bonds and other fixed income investments more attractive, money will flow into higher-yielding investments, such as bonds and money market funds, and out of gold, which offers no yield at all. 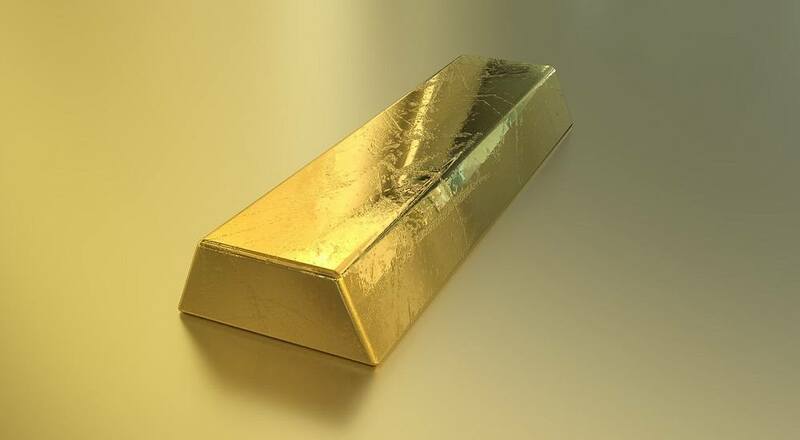 Despite the widespread popular belief of a strong negative correlation between interest rates and the price of gold, a long-term review of the respective paths and trends of interest rates and gold prices reveals that no such relationship actually exists. The correlation between interest rates and the price of gold over the past half century, from 1970 to 2015, has only been about 28%, which is considered to be not much of a significant correlation at all. 300-year-old treasure found in southwest China after archaeologists unearthed 10,000 gold and silver items from the bottom of a river. Chinese archaeologists have found over 10,000 gold and silver items that sank to the bottom of a river in southwest China’s Sichuan Province over 300 years ago. The items included a large amount of gold, silver and bronze coins and jewelry as well as iron weapons such as swords, knifes, and spears. The characters carved in the gold and silver utensils are still clear and the embossed patterns on the jewelry show exquisite craftsmanship. It is believed that in 1646, peasant uprising leader Zhang Xianzhong was defeated in the area where the treasure was unearthed by Ming Dynasty (1368—1644) soldiers while attempting to transfer his treasure to the south. About 1,000 boats loaded with money and valuables sank during the skirmish. The objects found under the river have helped identify the area where the battle was fought and are direct evidence of this historical event. The U.S. does not depend on foreign copper, we are completely self-sufficient. Peter Thomas is a Senior Vice President at the Zaner Precious Metal Division, and he is considered one of the leading gold authorities in the world today. As a licensed floor broker, he was a filling broker in the silver pit when silver ran to $55 an ounce. He currently manages a global cash desk which handles Refiners, Recyclers, Mining Operations and Coin & Bullion companies. He is constantly in demand for his insightful opinions drawn from his 35 years of metals trade to such news enterprises and magazines publishers as EconoTimes, Bloomberg News, WSJ, The Guardian, US News and World Review, Hard Assets, Kitco, and Modern Trader magazine.